This mask has gently exfoliating coffee bean particles from Community Trade Nicaraguan coffee, organic cane sugar from Paraguay, Community Trade sesame oil, Community Trade shea and cocoa butter from Ghana. The texture is rich, grainy and gluey but very pleasant to use, it warms very gently in contact with skin and gives a delicate exfoliation. It doesn't dry up and its very easy to wash it off. The scent is alluring and uplifting, a blend of fresh coffee with chocolate notes- sounds like a dream for every coffee lover, right ? After use, the skin feels awaken, cleared of impurities, dicongested and it looks more radiant.I also noticed that its very calming and helps to reduce redresses. I love this mask, it feels very lush and whenever I use it ( 2 or 3 times a week) it puts me in a really good mood and makes my skin looks flawless. I was like yes coffee! then, like.. skin care.. Haha! interesting though. Coffee continues to develop huh..
Coffee mask!! seem interesting as I'm a coffee girl. I love coffee, but have never tried it on my skin! I do love the smell, so this may be worth a shot! nice information. after reading your review i would love to use this mask and i think it would be great for my skin. I am grateful for your review, I truly want to try this mask. I love using Coffee Skincare products. They are usually very effective. I would like to try the mask. I didn’t know coffee had such great benefits for the skin. I’ll look for this product when I drop by at The Body Shop. 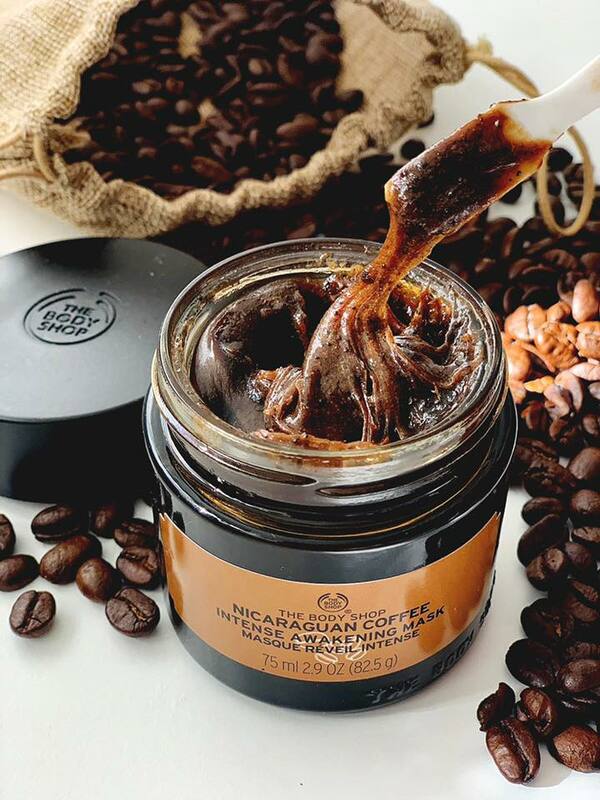 I've never had a coffee mask but just a coffee body scrub and I loved it. Since I enjoy mask, seems I'll be going for a coffee mask too. I always enjoy a good coffee scrub too, I just made one today with shea butter.